If you enjoyed the Olympics this summer or were simply in awe of, for example, Jessica Ennis’s toned stomach you may be contemplating joining a gym and really working at getting fit over the winter period. Before you make a spur of the moment decision it can be beneficial to consider your options and decide whether this is the right choice for you. Gym memberships can really work for those who make the best use of them, but they can also be extremely costly and many people lavishly squander huge amounts of money in the hope that a membership might spur them on to attain their desired level of fitness. Then after several weeks or months commitment levels can wane and sessions are missed. 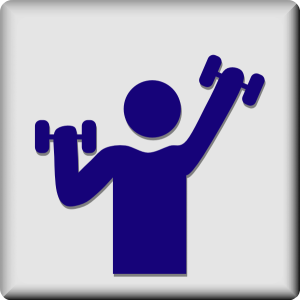 In order for a gym membership to be worth the price it is necessary to be fully committed to a weekly routine, and regularly use the facilities. A survey of 3000 adults revealed that nearly £500 a year is wasted on unused gym memberships and equipment. Jogging or running in your local area will cost you nothing but a decent pair of running shoes and is a great way to enjoy the outdoors. Take an iPod and listen to your favourite motivational songs or better yet go running with a friend. Going for a walk costs nothing and is one of the easiest forms of exercise to try. You can make it more enjoyable by taking the dog along or even begin a walking group with your friends and start planning your favourite routes. Got somewhere to be? Try cycling instead of taking the car or traveling by public transport. Cycling is an excellent form of cardio exercise and is good for toning your calf and thigh muscles. If you already own a bike then there’s no added cost, if not you can purchase a second hand bike for a reasonable price, and certainly less than the cost of a gym membership. It will also save you petrol money and/or travel fare costs. If you aren’t sure whether exercise classes are for you or you just want to cut down on costs you could purchase an Exercise DVD and try out some of the moves in your living room. Attending a regular dance class is cheaper than paying for a gym membership, and is a sociable and creatively satisfying form of exercise. There is no need to be an expert dancer either with classes available for all levels and with many styles to choose from. It is an aerobic form of exercise which will also improve your coordination and balance skills. Remember: Injuries do occur when exercising. It is important to always warm up before exercise and start off slow if you have been inactive for a length of time, to avoid strain injury. Bio – this article was written by TalarMade who have a comprehensive range of full-body braces and supports, cold therapy wraps and foot insoles, designed to help prevent injury.